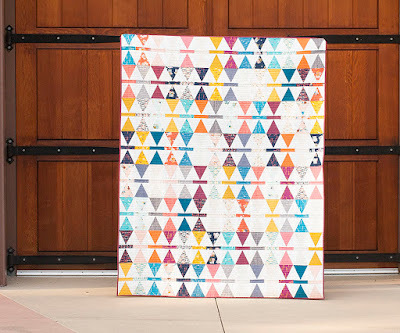 Belville is a fun and easy triangle quilt pattern with a mid-century modern vibe. 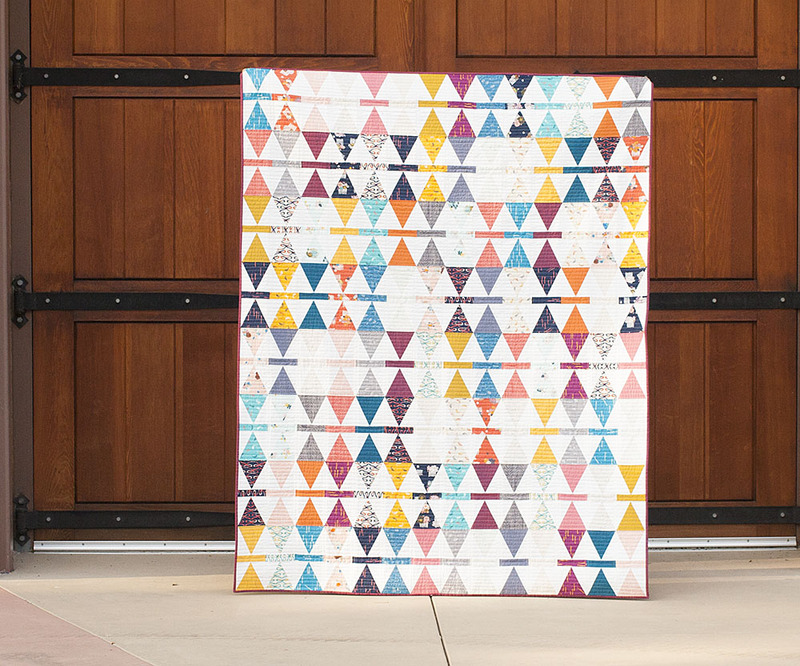 Inspired by the colors and prints in Good Hair Day by Kim Andersson, I designed this quilt to have a vintage feel with a modern sensibility. 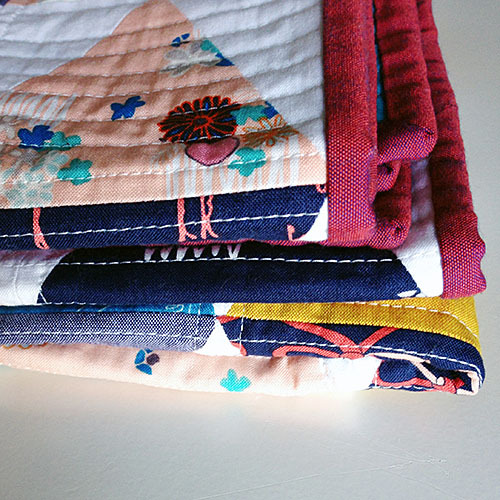 Including the lighter prints with the white background fabric really makes the quilt come alive and sparkle. 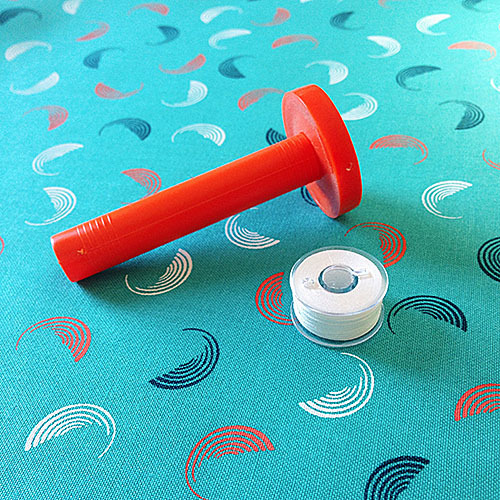 Thank you all so much for the kind comments about this upcoming pattern. I'm excited to see all of your projects. 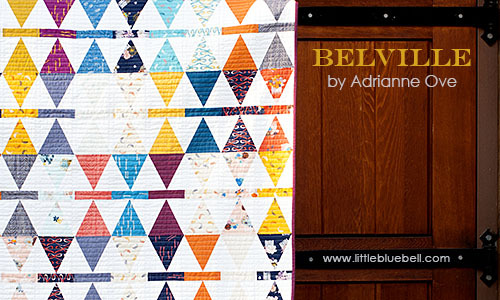 Please email me photos or tag me on Instagram @littlebluebell #belvillequilt I'd love to see them!! I love this! Beautiful design. Love the sashing created by the blocks - makes this pattern really sing!!! I like the fabrics you used - very nice! Another cool pattern!! Love it. Very nice! I like this quilt ALOT! Oooo I'm so excited for you. ...this quilt is wonderful!